Dogs do have their own language, just as we do. 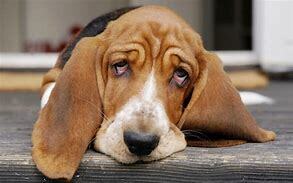 I suspect that dogs understand our language more than we understand their language. I did a bit of research on this and now I feel even stronger about this theory. For example, it has been proven that dogs understand about 165 human words, depending on the dog it may be more or less. Both my husband and I have had dogs that definitely did not know that many. This did not make us love them any less. Now we have a dog that we actually spell out some words because he will just get too excited if he hears certain words such as, "Go, out, frappuccino, tinkle bells, potty, walk, etc." Of course, he knows his name, as well as all of the usual family members. I am aware that he is not the only genius of dogs out there, however, he is most definitely up at the top. We, on the other hand, knew some of his language. Some things do not require a rocket scientist to figure out. Let's start at the beginning; like when you go and pick out your puppy. This is a very important time. My husband and I are firm believers that the puppy/dog chooses you. We know that Davis chose us. There were others in the liter that our breeder brought in to the kitchen with us on the floor for them to come to us. A few could have cared less if we were there or not, some came in and nudged their way to us, sometimes even aggressively pushing another pup out of the way. One little puppy continued to try to get to us and we noticed that one little sister kept stopping him. Once we got him alone, he climbed up on Steve's leg and just cuddled with him and then with me. He melted our hearts right then and there. Not to mention that his tail was a perfect question mark shape and his hair was so soft and wavy. Love at first sight for all three of us. Our wonderful breeder gave us all of the details that we, as new puppy parents needed, even a new red blanket to wrap him in for his ride home. Naturally, he was a bit afraid, however, he cuddled into me and it seemed that he felt he was protected. 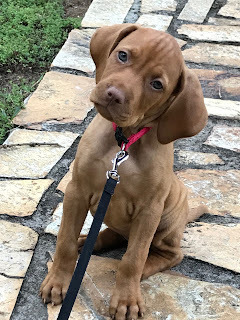 Since that day we have learned so much about dog language and I will be sharing what we have learned through our experiences with Davis, as well as in my research on things we did not know. We all know the 'puppy dog eye' look. Most of us feel like they are begging or trying to look so cute that you will feel guilted into giving them a treat. Some of that may be true but they also are sometimes innocent and just basically looking at you to show you that they love and adore you. One is I am so sorry. I did not mean to do it. The one on the right is totally guilty. Yes, I know that I should not have done it but I did it anyway. Look at those eyes. How can anyone be too angry. It is a teaching time, never a yelling time. Dogs have feeling, believe it or not. I don't know about you, but I never want my dog to be afraid of me. Use it as a teaching moment. Have patience. 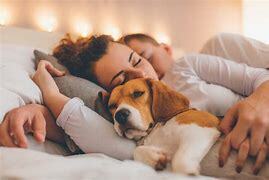 If your dog wants to sleep with you rather than on his bed, that means you are the number one person in your dog's life, even while you are sleeping. This fact is something that my husband and I talk about often. Our dog has been crate trained from the very beginning. He loves his crate and even goes in it on his own throughout the day with the door open. It is as if he feels that is his home. When he does come in our bedroom with us, he never tries to jump up on the bed. First of all, even though he is a tall dog, he is a 'scaredy-cat' when it comes to heights. Our bed is a very tall bed. At Doggie DayCare, he does not go on the climbing tall play equipment. So being in bed with us is something that does not seem to interest him. 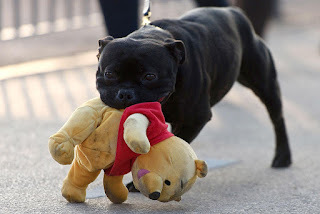 Whenever you come home from work or just being out running errands, you may feel that getting tackled by your dog is something that you need to curb. It is simply that your dog is wanting to show you how much they've missed you and that they are happy that you are home. 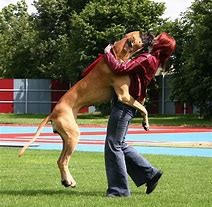 They are not trying to be annoying, however, when you have a large dog, you need to be aware of their strength. They certainly don't mean to knock you over, just be ready. Because we do not have young children in our home on a regular basis, we must be prepared when our granddaughters come over. He loves them dearly, but has knocked them down by accident in his happy state. The oldest of the granddaughters tells him like it is. Even she knows that patience and love will teach him the right way to behave. Every time that someone comes into the room where he is for the first time of the day, he will look around the room frantically trying to search for a toy to take to them. I used to think that it meant that he wanted to give it to me to throw and him fetch, when I read and learned that it can also mean he wants us to play with it to. He likes you and wants to share, so if you instinctively throw it, you may hurt their feelings. Davis, brings it to me but doesn't let go of it so easily like he does when it is a throw and fetch game. I have learned the difference. 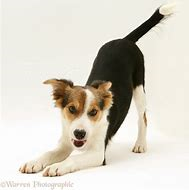 Yet another greeting from your dog that means they are excited to see you and you may be reading their language incorrectly, is they stretch out as if they just need to get their muscles moving from napping. They may have been napping, however, it is a sign of affection and love toward you when you come through the door, not just because they were sleeping. Have you ever had your dog lean on you? As if they are tired and need something to lean against? And if they are a big dog, this is definitely noticeable. It is not that they are being lazy, they are actually hugging you so be sure to reach down and pet them to show them love in return. Yawning is very common in dogs. I used to think that it meant Davis was tired but it is a little more than that in dog language. It means they are comfortable and feel safe. 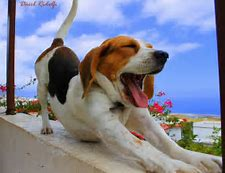 In the wild, a yawn is considered to be a sign of submission, so when you do see your dog yawn a lot, it means that they are completely relaxed with you. 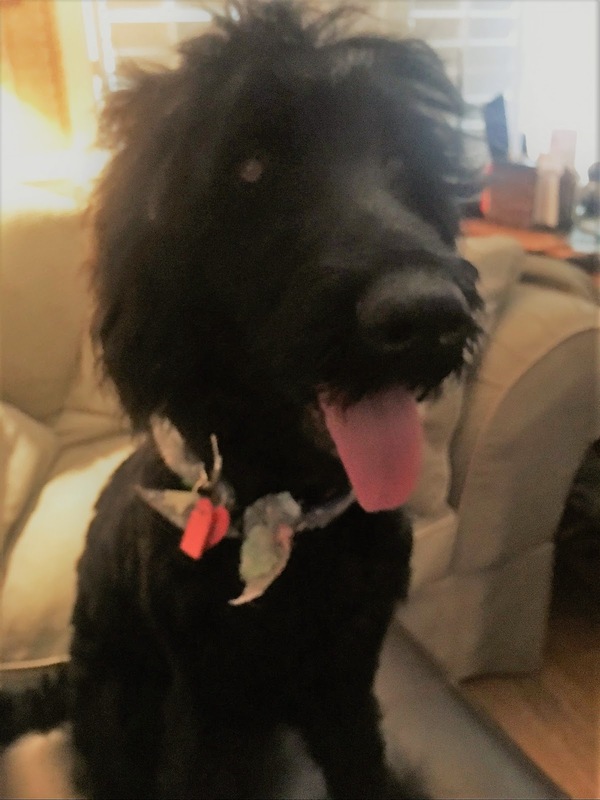 The first time that I ever saw Davis stop dead in his tracks, put his nose in the air, one front paw picked up and his tail pointing, I thought, "Dude, you are a goldendoodle, not a pointer!" 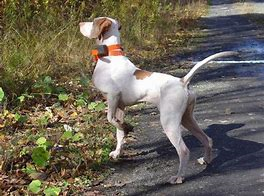 It seems that even though it looks unnatural for some dogs that are not pointers, it is a physical reaction that has them playing like a detective in trying to figure out what has caught their attention. As I read in one of my research finds, "Dogs holding one paw up is like Sherlock Holmes lighting his pipe." 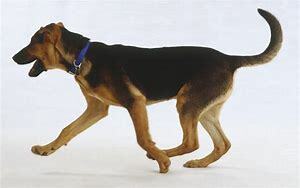 Dogs that don't point with their tail and with one front paw up, may still stop and be very still with their nose in the air or flicking their ears, trying to figure out the sight, sound or smell that is unfamiliar to them. Now let's move to a dog's tongue. 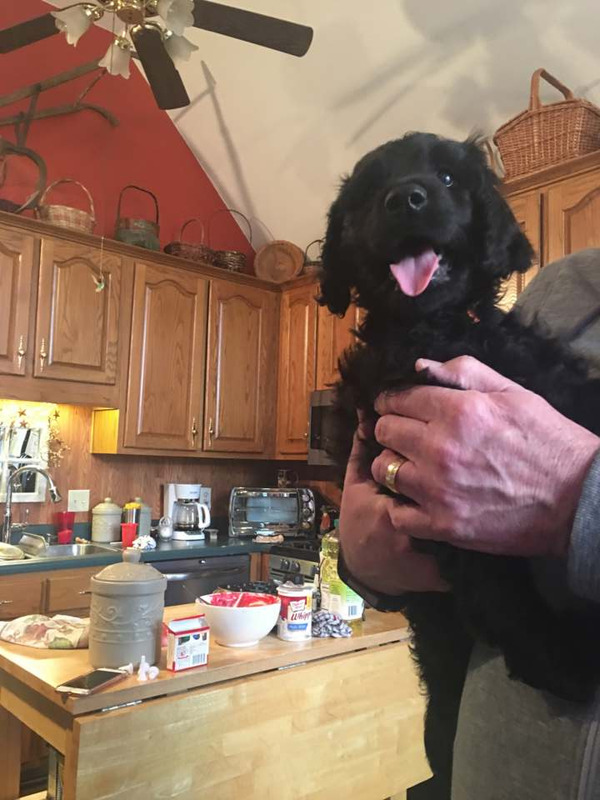 It seems as if our dog, as well as others, always seem to have their tongues out. This can mean a few different things. 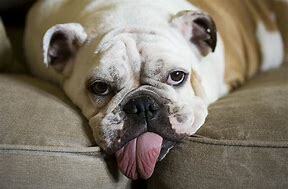 First of all, I did not know until reading about it, that after a dog knows that they've done something wrong and they want to apologize, they will approach their human and flick their tongues out as a sign of apology. They try to look as innocent as possible because they know how to look adorable and who can resist such a cute face? Then again, it is a way that they breathe, by panting. Panting relentlessly means they are overheating and they are trying to regulate themselves and probably need some water to help. 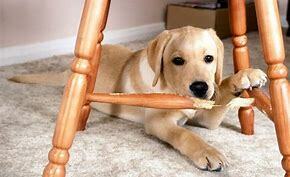 Chewing on furniture is something that I can relate to with our furball. Luckily, it did not get as bad as some cases that I have heard about, it still is not a good thing. 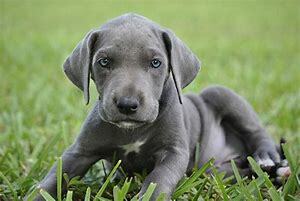 Whether they are a puppy or not it is a sign that they need more exercise and other things to keep them busy and occupied. 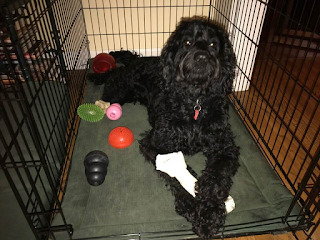 Once we got Davis on a regular routine of physical activity and chewy toys that would not harm him (because he can tear through most toys in a New York minute) we have not had chewing of furniture. 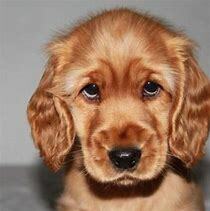 How about when you are talking to your dog and you change your voice to the doggie voice, only if a little bit and they are aware of that and twist and turn their heads as is to say, "I am trying to understand what you are saying to me." The same goes for when they are talking, and yes dogs do try to talk. 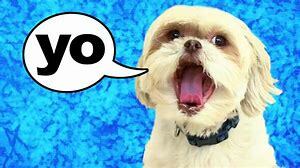 When Davis gets close to his Doggie Day Care, he knows and his tail starts wagging, and he starts this kind of low moaning and talking to us as if to say, "Hurry up, let's go. Are we there yet?" 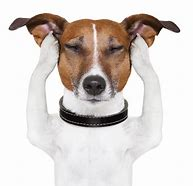 The other way that they communicate is by short barks of happiness or loudly and rapidly barking so they can alert us to what they see as danger. In our case, it is usually a delivery person coming to the front door. 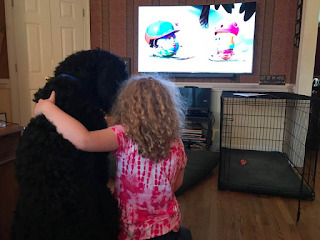 One other method that our dog has displayed is that when he had to spend the night with our daughter and her family she asked me why did I not tell her that he howls? I was shocked actually. He had never howled with us. She said that they put him in his home and told him goodnight and he howled one time as they got to their bedroom door. She and her husband turned around and asked each other what that sound was. It was Davis, they concluded. Maybe he was telling them goodnight. Luckily, he only did it once so that made us feel good that he was not in distress or too anxious. The time to be concerned is if they are barking and the dog wrinkles their muzzle and shows their teeth and even snarls. This is a sign of aggression. Luckily for us, our dogs have not shown this type of behavior. We are well aware of it because we have one that lives next door to us. 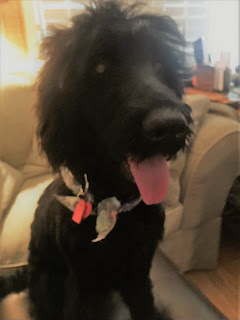 There have been times that I am afraid to go out to my own mailbox if he is out growling, barking and snarling showing his teeth and acting as if he would jump the fence. I have witnessed an Amazon delivery man come up the walkway, see and hear the dog next door and throw our package to the front porch, turn and run for his life to his van. The poor dog is left out and not socialized. Not his fault, however, we stay on our toes when in our front yard. 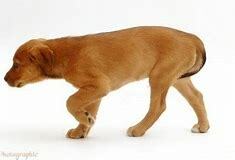 A dog bowing by keeping the back of his body up and lowering his head and almost going down on his knees (do dogs have knees?) means they are in a playful mood. Our dog does this when he is in his 'zoomie' stage when outside. Inside, he may bow and go down when given a new toy. That question mark tail is high in the air and wagging back and forth. 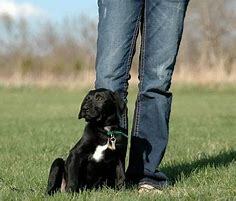 The last type of communication that dogs use with humans is with their tails. 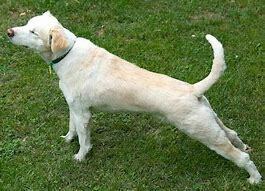 One researcher stated that you can actually know more about what a dog is telling you by their tails than their eyes. These three tail examples will be how this blog will end. The top dog is running free and happy as can be. The middle dog is not happy, could be sad, anxious, hurting? It is time for the owner to investigate. Since this is my blog, I have decided to end on a happy note. Davis with his happy tail playing in the snow, one of his favorite things to do, even though he does not get to see it often here in Memphis. Just remember, dogs are talking to you in everything they do around you. Are you listening?